Israeli soldiers abducted, earlier Thursday, at least twelve Palestinians from several parts of the occupied West Bank, the Palestinian Prisoners’ Society (PPS) has reported. The PPS stated that several army jeeps invaded Beit Rima village, northwest of Ramallah in central West Bank, searched many homes and abducted Mohammad al-‘Aassi, 20, and Ismael Barghouthi, 24. In addition, the soldiers invaded Husan village, west of Bethlehem, and abducted Mahmoud To’ma al-‘Areedi, 25, after violently searching his home. The soldiers also invaded homes in Burqin town, southwest of Jenin in northern West Bank, and abducted Bassem Yasser Abu Shadouf. Another Palestinian, identified as Mohammad Salim, was taken prisoner by the soldiers at the northern entrance of Azzoun town, east of Qalqilia, in northern West Bank. Furthermore, the army invaded Shu’fat refugee camp, north of occupied East Jerusalem, searched several homes and interrogated many Palestinians. 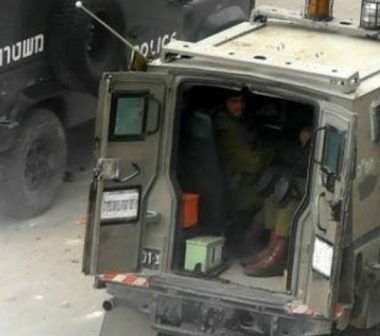 In Hebron governorate, in southern West Bank, the soldiers abducted seven Palestinians; five from their homes, and two children at a military roadblock.